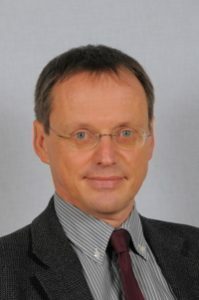 Wolfgang Polt, Director POLICIES at the Institut for Economic and Innvation Resarch of JOANNEUM RESEARCH Ltd. and authorized representative of this organisation, which is one of the major public research organisations in Austria. He is an economist and has long experience in innovation research and policy studies in science, technology and innovation policy. The scope of the studies includes policy design, policy evaluation and policy implementation. He has carried out evaluations of programmes, policies and institutions for DG Research, DG Enterprise and DG Information Society of the European Commission, and for institutions in countries like Austria, Finland, Germany, Ireland, Japan and Switzerland. He supported Ministries in Austria concerning EU policy alignment, joint programming and stakeholder process for EU FP9. As an expert, he has contributed to the recent country studies of the EU and the OECD on innovation policies in Estonia, Greece and Hungary. Most recently, he was the study director of a project analysing and comparing the research system of Germany.